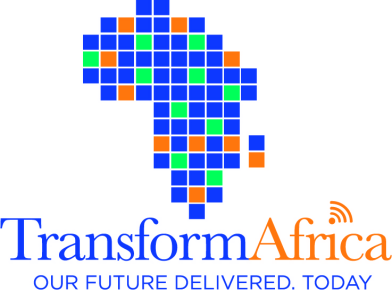 More than 4,000 delegates from 80 countries are expected to converge in Kigali on the 7th of May for the Transform Africa Summit 2018. The summit will bring together African leaders, private sector players, representatives of development partners that are active the ICT field, among others. Up to 22 Heads of State and Government are expected to attend the gathering due to begin on May 8. So far, 22 countries subscribe to Smart Africa, which also enjoys the backing of several pan-African and international organisations, multilateral companies, academia, among others. Some of the organisations include World Bank, African Union Commission, African Development Bank and the International Telecommunications Union. These actors and the Smart Africa secretariat work together under a broader framework known as Smart Africa Alliance. Highlighting some of the impacts of last year’s summit, Nsengimana said the meeting saw the adoption of the Smart City initiative, which has since picked up. “The Smart City flagship project has since become a movement across the continent. Our member countries have embarked on Smart City initiatives and private sector partners have come on board to invest and provide the technical expertise that is required to drive smart cities,” he said. During last year’s summit, a number of agreements and deals were clinched, including a $50 million investment deal between Rwanda and Sheikh Rakadh Group and Ngali Holdings. At last year’s summit, Smart Africa Alliance entered into an agreement with Microsoft to support member countries in developing relevant policies. Also, Rwanda and Inmarsat, a global mobile satellite communications firm, signed an agreement to launch a series of digital service initiatives across Kigali. Smart Africa Alliance was borne from the first edition of the Transform Africa Summit in 2013 when government leaders committed to fast-track development using IT. The alliance membership has since grown to 22 countries and multiple international development partners, including the World Bank, African Union Commission, African Development Bank and the International Telecommunications Union. How safe is your car in your own premises?